The key term to a real estate private equity deal is the sponsor “promote”. It’s industry jargon – don’t you love fancy terms! – for the sponsor’s disproportionate share of profits in a real estate deal, provided the project hits certain return benchmarks. The promote is often expressed in the form of a waterfall. Equity waterfalls are one of the most difficult concepts to understand in all of real estate finance. Cash flows can be split in a countless number of ways, which is why real estate waterfall models can be so confusing. Even experienced practitioners have a hard time modeling these structures! What exactly is a “waterfall” when it comes to cash flow distributions? An investment waterfall is a method of splitting profits amongst partners in a transaction that allows for profits to follow an uneven distribution. It can be thought of as a series of pools that fill up with cash flow and the once full, spill over all excess cash flow into additional pools. This type of arrangement is beneficial because it allows the equity investors to reward the sponsor with an extra (disproportionate) share of returns. This extra share of returns is the promote, which is used as a bonus to motivate the sponsor to exceed return expectations. Under the waterfall structure, the sponsor will receive a higher share of profits if the project’s return is higher than expected, and a lower share of profits if the project’s return is lower than expected. The waterfall structure can also be viewed as a risk-management tool as it allows the downside risk to be shifted away from the equity investor while providing upside potential to the sponsor. It can come in different flavors but the internal rate of return (IRR) is the most popular method that accomplishes these goals. The various stakeholders in the capital stack – debt investors, equity investors, sponsors – always jockey for a position in splitting profits. The traditional structure represents an inverse hierarchy of risk and payment priority. The debt investors (or lender) has the first repayment priority and the lowest level of risk. In exchange, they accept a predetermined return or a predetermined interest rate. Next in line are the equity investors. Assuming a simple capital stack, the equity investors are the ones who invest capital and are subject to a fluctuating return depending on the project’s success. Finally, the sponsor, who may also be an equity investor, takes on the highest level of risk. While their skill, tenacity and vision are pivotal to the project’s success, the sponsor’s return is typically subordinate to the lender’s and equity investor’s. But they also have the highest upside potential to account for the high level of risk they are undertaking. 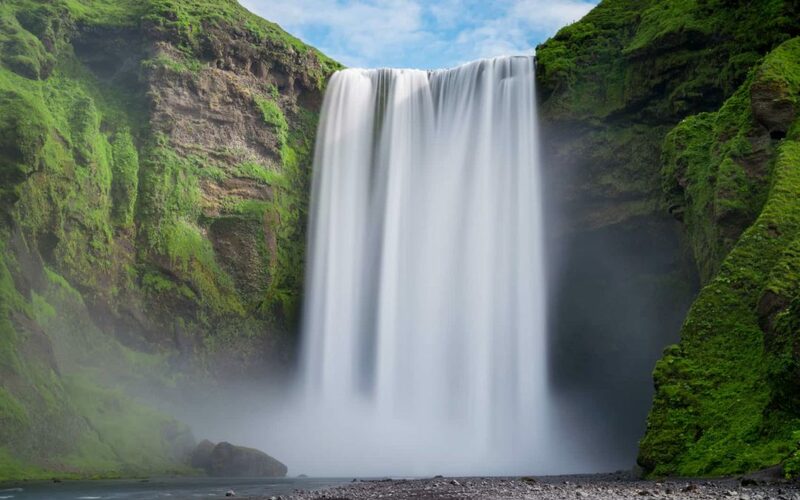 The typical waterfall solves this situation by positively compensating the sponsor for a successful project, while, at the same time, minimizing the downside risk for the equity investor. The concept is simple but effective: If the returns are greater than expected, a disproportionate share flows to the sponsor but if the returns are lower than expected, a disproportionate share flows to the equity investors. This allows for the risk and return to be distributed in a more equitable manner. The lender always gets paid before the sponsor or the equity investor. In most cases, the details around the waterfall or any other means of cash flow splits is outlined in owner’s agreement. The entire structure is based on the “return hurdle” which is a specific amount of profit that the project needs to generate to progress to the next hurdle. It is critical to read the owner’s agreement as there are a multitude of variables when it comes to investment waterfall structures. At the minimum, the agreement should spell out, in detail, how the cash flows will be split among the partners. There are some commonly used terms and components in investment waterfall structures. Nonetheless, waterfall structures can and do vary. This means that there is no “one-size-fits-all” solution. The only way to understand the specific waterfall structure is to read the owner’s agreement. As mentioned above, the return hurdle is a rate of return that must be achieved before moving to the next hurdle. This is important to understand as the return hurdle (also called tiers) are what triggers the disproportionate splits. The return hurdles can be defined in many ways. They are most commonly expressed as the IRR or equity multiple. The IRR is the percentage rate earned on each dollar invested for each invested period. The equity multiple is expressed as the aggregate of invested equity and all profits divided by invested equity. Once the return hurdle has been defined, the next question is: From what perspective will the return be measured? The returns can be calculated from different perspectives including the project, 3rd party investor equity or sponsor equity. Sponsors have been known to get very creative when designing the return hurdles. The preferred return is defined as a first claim on profits until a target return has been achieved. In simpler words, preferred investors in a project are first in line and will earn the preferred return before any other investor receives a distribution. Excess profits can be split once the preferred return hurdle has been met. – Who gets the preferred return? Preferred return investors could include all equity investors or only select equity investors. At the institutional-level, the senior-most equity source might get a distribution first before the cash is distributed to anyone else. – Is the preferred return cumulative? Non-sophisticated investors often don’t even know about cumulative preferred returns. They become relevant if there isn’t enough cash flow to pay out the preferred return in any given year. In waterfall models, this preferred return can either be cumulative or non-cumulative. If the preferred return is cumulative, then it will be added to the investment balance for the next period and accumulate until it is eventually paid out. – Is the preferred return compounded? Again, another concept often overlooked by newer, less sophisticated investors. A preferred return can be compounded or non-compounded. A key question arises when the preferred return is cumulative. Is the unpaid cash compounded at the preferred return as it accumulates? In other words, does the sponsor pay an interest on the unpaid preferred return, at the preferred rate of return? Compounded interest means that the investor gets paid an interest on the accrued preferred return. Hence, they are compensated for the inconvenience of not being paid the preferred return on time. – What is the compounding period? If the preferred return is compounded, then it becomes important to know the compounding frequency. The compounding frequency could be daily, monthly, quarterly, annually or continuously. The more frequent the compounding period, the more quickly the investor’s money grows as interest is charged upon interest. Again, this is to ensure that the investor is compensated for the inconvenience of getting lower than expected returns or not on time, and to make sure they receive the amount owed to them in totality (assuming proceeds are reinvested). This provision provides the sponsor and investor to “look back” at the end of the deal. If the investor does not achieve a predetermined rate of return, then the sponsor will be required to give up a portion of its already distributed profits in order to provide the investor with the predetermined return. This provision provides that the investor gets 100% of all profit distributions until a predetermined rate of return has been achieved. Then, after the investor achieves the required return, 100% of the profits will go to the sponsor until the sponsor is “caught up”. This is essentially a variation of the lookback provision. The key difference is that with the lookback provision the investor must go back to the sponsor at the end of the deal and ask the sponsor to write a check. With the catch-up provision, the investor gets 100% of all profits until the required return is achieved. Only then does the sponsor receives a distribution. Typically, the sponsor prefers the lookback provision and the investor the catch-up provision. Why Do Sophisticated Investors Choose the Preferred Return? In our opinion, the preferred return aligns the interest of the sponsor and the equity investors. This is also an institutional-quality structure preferred by sophisticated investors the world over. Typical, “club” sponsors/newbie sponsor often resort to straight profit splits. These should be avoided as they put the sponsor’s interest ahead of the investor’s. It becomes a case of “heads I win, tails you lose” as it gives the worst of both worlds – upside for sponsor with no downside protection for the investors. Another reason is also that “club” sponsor often lack the technical modeling skills to create waterfalls. Due to laziness and lack of sophistication, they use structures which are primitive and easy-to-model. Coincidentally, these are also structures that are less investor-friendly. Rule 2: Never forget Rule 1. This section will illustrate how the returns can dramatically change because of the way the waterfall is structured. In this structure, the LP / Sponsor split is 80/20 or 80% of the cash flows go to the LP (major equity providers) and sponsors get the remaining 20%. The project level IRR is healthy but as we can see the sponsor gets a disproportionately higher IRR ~56% vs. the LPs at ~8%. This is a more complex structure but aligns the sponsor and LP interest. In this structure, the LP gets the first 8% of returns. After that the sponsor starts sharing in the profits on a sliding scale. As each IRR hurdle rate is achieved, the sponsor gets a disproportionate share of the returns. Nonetheless, the investor gets downside protection at the first 8% (preferred return), the sponsor gets no distributions and the investor gets 100% of the preferred. As you can see from the above example, the numbers dramatically shift with each structure. The profit split skews the interest towards the sponsor at the expense of the investor. The preferred return structure ensures that the interests are aligned by compensating the sponsor for outperformance while providing the investor with downside protection. In summary, it is critical for investors to understand the promote/waterfall structure. A project can look great on the deal-level but investors should be concerned with how much returns accrue to them. Seemingly attractive deal-level returns can become mediocre with the wrong profit-split structure. Investor should always understand that the profit split structure is an incentive mechanism. And, they should always seek to invest in deals where there is an alignment of interest with the sponsors.